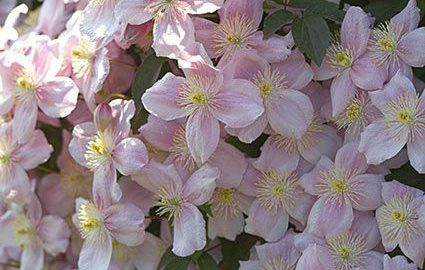 There’s a Clematis for virtually every garden situation: choose the taller varieties to cover an arbor or a trellis, and grow the shorter and non-climbing types through shrub roses and small trees. You can also select Clematis varieties with different bloom times for flowers in virtually every season except winter. Flowering periods begin in early spring with the compact alpinas and macropetalas, then progress through early summer with the large-flowering hybrids, and continue through late summer with the texensis and viticella varieties to a flourishing finish with the exuberant Sweet Autumn Clematis (C. terniflora, also known as C. paniculata). We’re particularly fond of Clematis paniculata that grows on an old stone wellhead at the nursery (shown in photo) that’s over 10 years old. The vining Clematis climb upward on supports to create aerial floral displays. 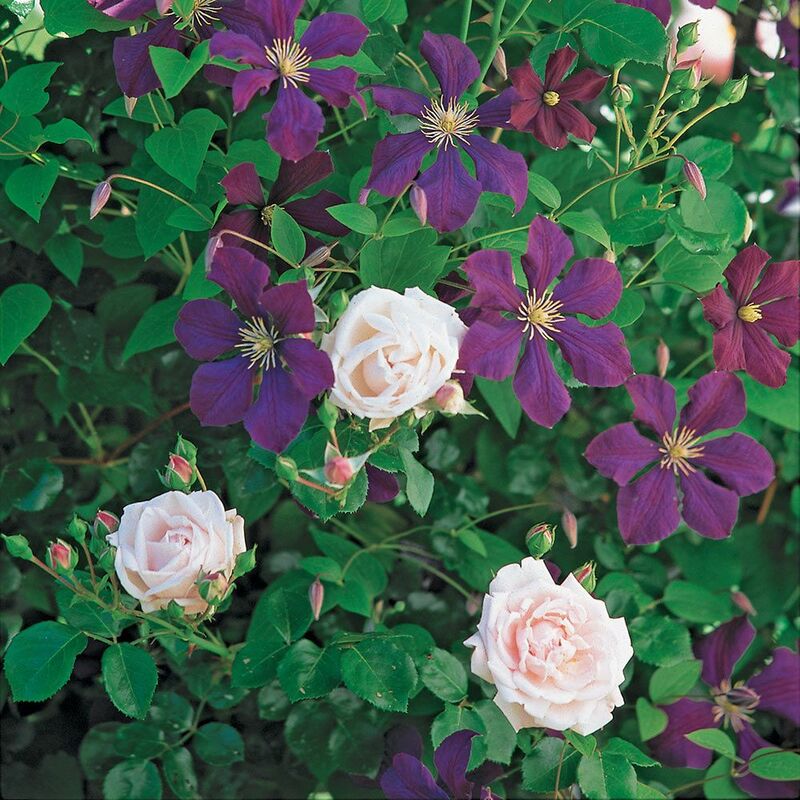 Try pairing two varieties with blossoms similar in form but different in color to play off against each other, or combine with Climbing Roses for a glorious contrast of color and form. 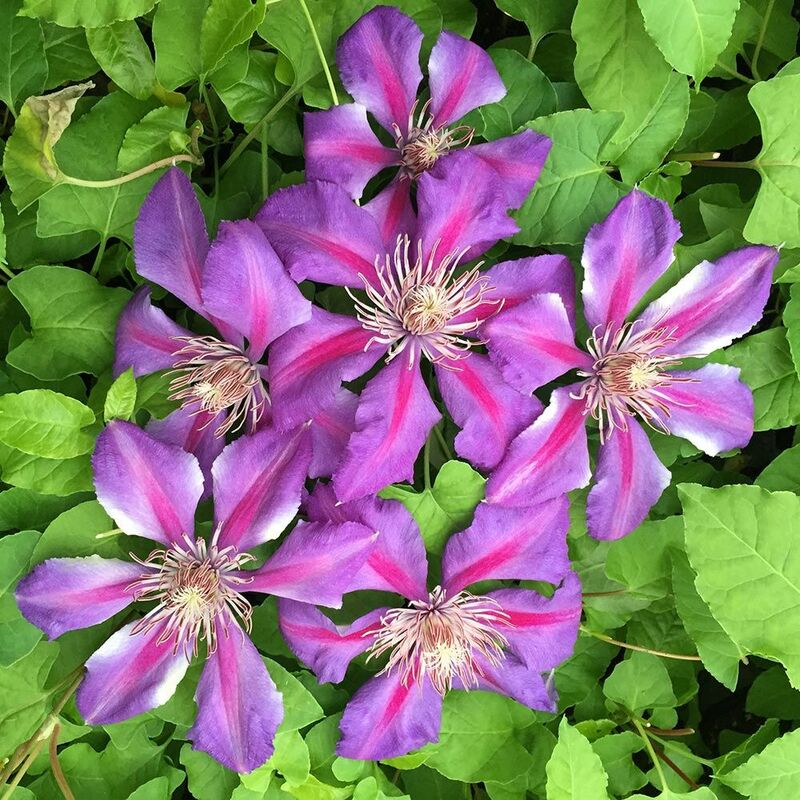 Clematis also partner wonderfully with other vines, shrubs, and small trees, adding a second season to spring bloomers such as Lilacs or Crabapples. 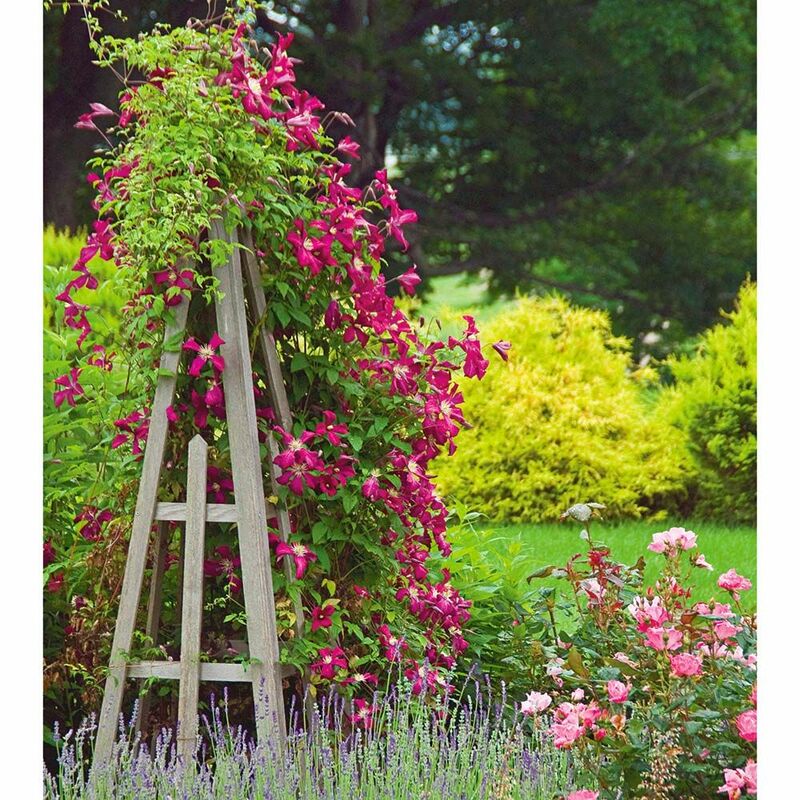 Because a Clematis climbs by twining its stems and leaf petioles around any narrow support, it is equally happy on trellising made of lathe, wire, bamboo, or rustic twigs. If you want the Clematis to grow up through a Rose, shrub, or small tree, plat it about a foot away from the base. With large trees, choose a vigorous variety and attach black nylon netting on the trunk for something it can cling to. Non-climbing Clematis species have a more upright, clump-forming habit and can be supported by pushing twiggy branches into the soil near the plant’s crown in early spring or by placing grow-through supports (such as those for Peonies) around the crown. Or, just let them ramble informally through neighboring plants like Shrub roses or along the ground or stone walls. 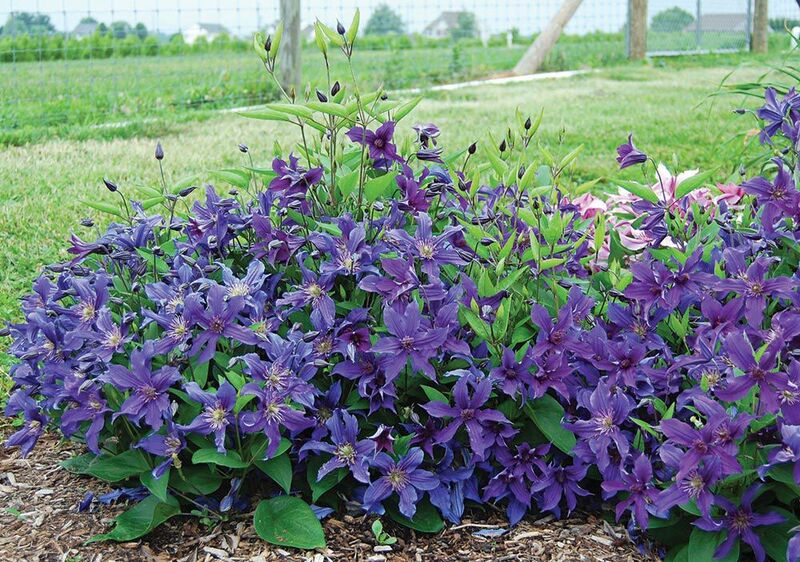 Clematis Sapphire Indigo™ provides continuous bloom in the border, carpeting the ground around the feet of perennials. In general, Clematis need at least six hours of sun; some varieties are adapted to partial shade, and all benefit from afternoon shade in the South. 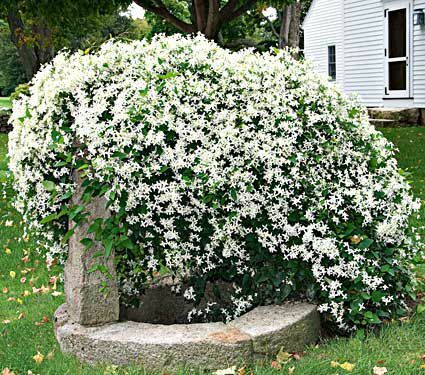 Plant the crown of bareroot Clematis fully 3-4in below soil level. They require shade at their roots — apply a 2in mulch (keep mulch about 4in from the crown) or underplant with annuals or shallow-rooted perennials. 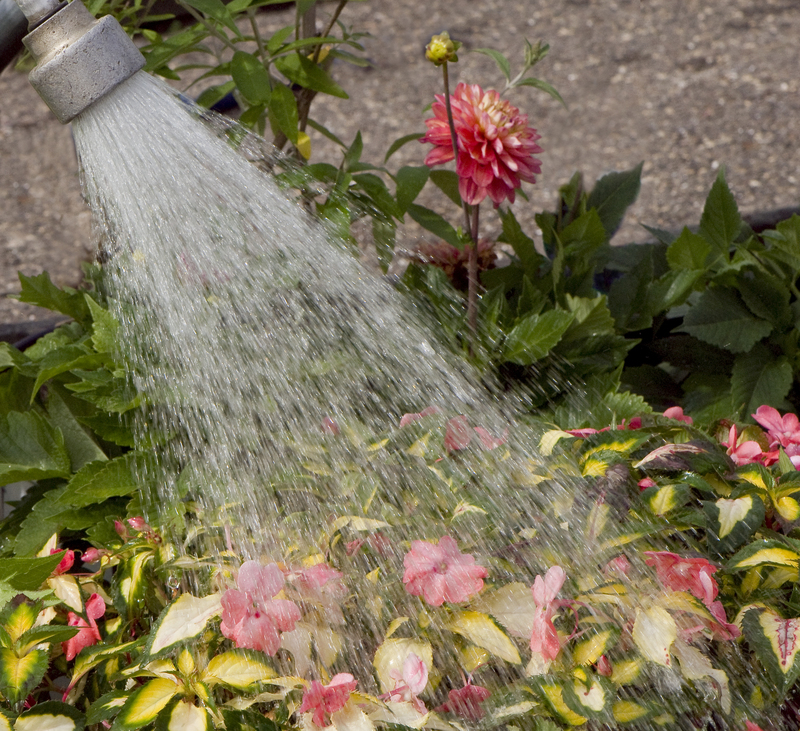 A neutral soil is preferable, and provide about one inch of water weekly. Clematis is a heavy feeder; apply a low nitrogen fertilizer such as a 5-10-10 in spring, when the buds are about 2 inches long. 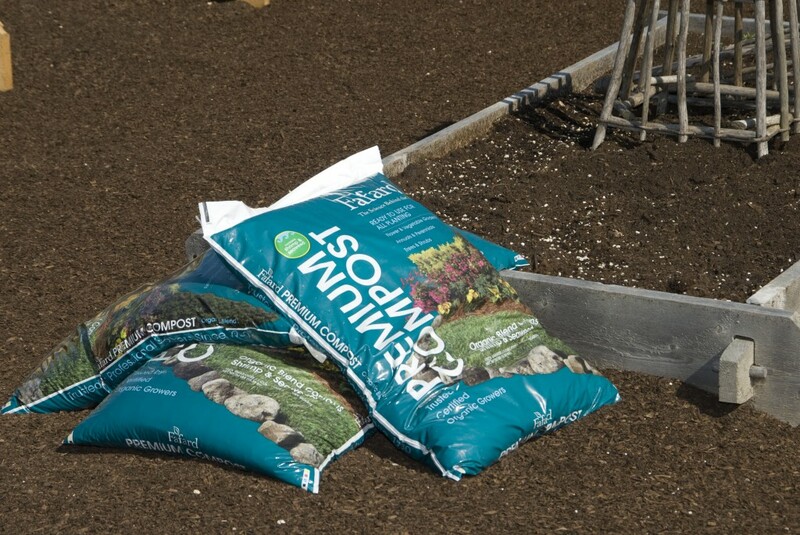 Then, add a balanced 10-10-10 fertilizer every 4-6 weeks throughout the growing season. The main reason for pruning is to increase flowering, but not all clematis are pruned in the same way. They are divided into three major pruning groups depending on their bloom season; our Gardening Help section explains these specifics. However, dead or damaged stems may be removed at any time. Early in the first spring after planting, prune the stems of all Clematis varieties down to the lowest pair of healthy buds. Thereafter, prune to control size and shape or to encourage more profuse bloom. Older vines that are only flowering on a small area at the tops of the stems can be rejuvenated by cutting them back severely, to about 18in. Wait until after the first flush of bloom to perform the surgery. Gardening with Clematis can become a rewarding addiction — you can’t stop with just one variety or one type. Hydrangea is a valuable genus of some 100 species of shrubs and vines grown for their large and spectacular flower heads. 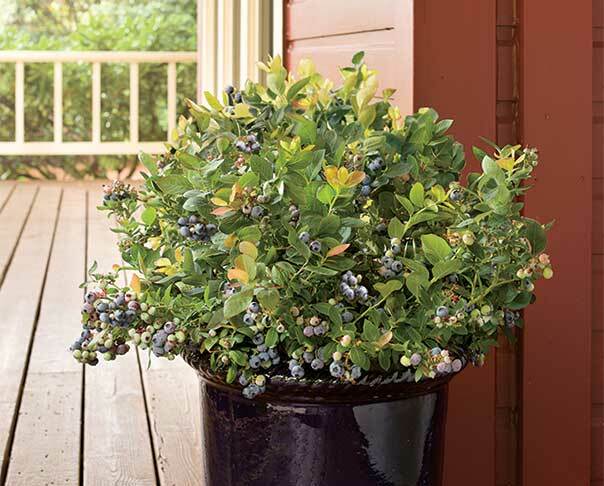 Beloved for centuries, they’re vigorous, of easy care, and attractive at virtually every stage of growth. In addition, they are at their showy best in summer and fall – a time when many woody plants are resting. 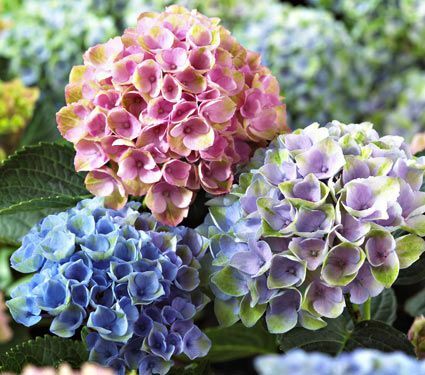 Most Hydrangeas are not fussy as long as they receive their preferred amount of sunlight (generally full sun to part shade) and are planted in moist, well-drained loamy soil. They will thrive in coastal areas since they can tolerate high winds and salt. Hydrangeas do need water if it doesn’t rain but are otherwise undemanding. 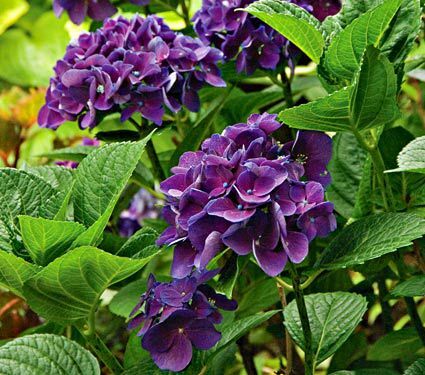 Click here for the complete guide on growing Hydrangeas. 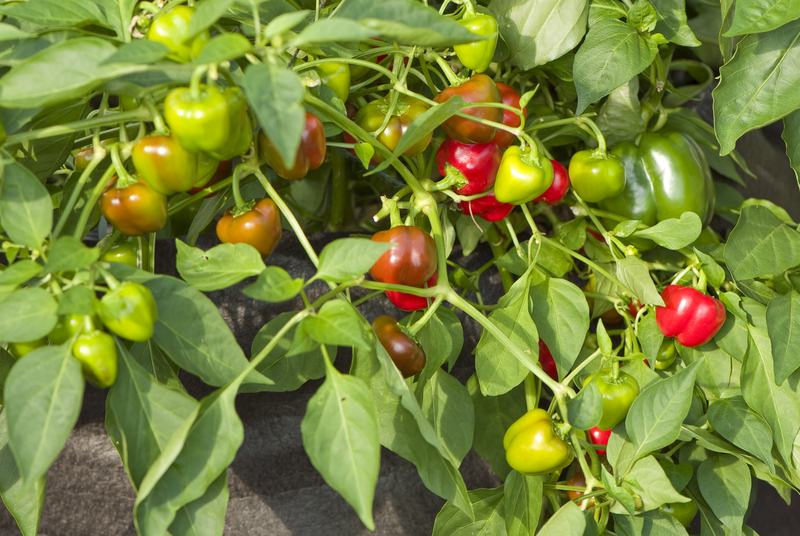 In recent years breakthroughs in breeding have produced exciting new varieties that bloom on old and new wood. 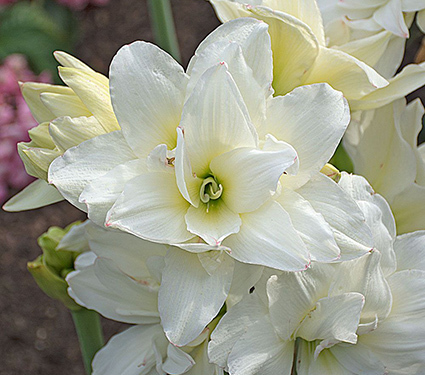 ‘Blushing Bride’ and Endless Summer® are among these exceptional long bloomers. They flower on old wood starting late spring and then on new growth in midsummer. 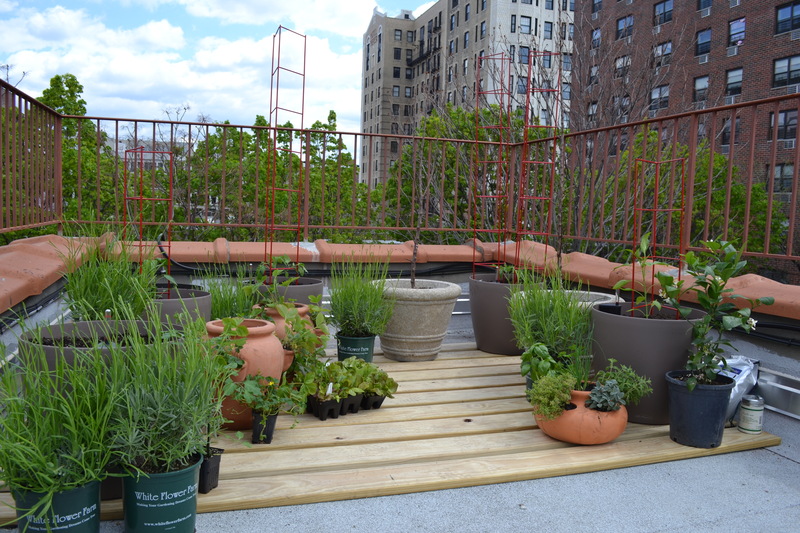 In warm climates, such as Zones 4-5, since bloom on new wood is reliable, even after a severe winter. 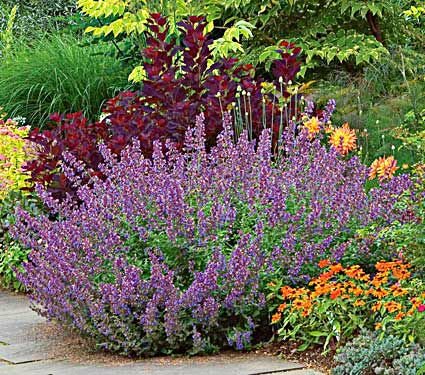 Regular deadheading of these varieties helps encourage rebloom. 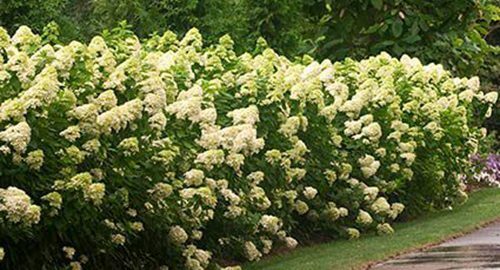 For tips on pruning all varieties of Hydrangea, click here. In addition to extended blooming periods, some of the newer varieties also display amazing color combinations. 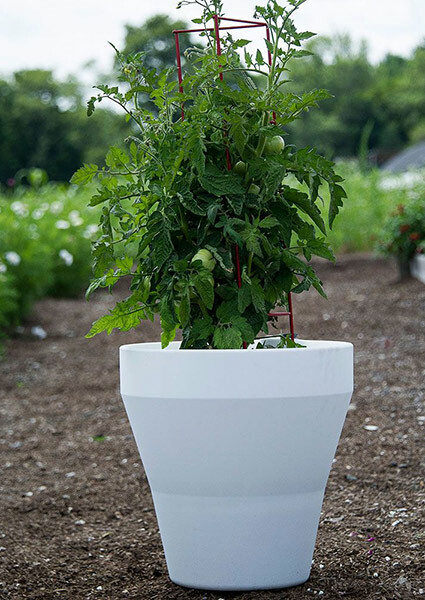 Vanilla Strawberry™ has red stems with large, creamy white flower heads that turn strawberry red to burgundy. As new flower heads keep coming, all three color stages appear together. 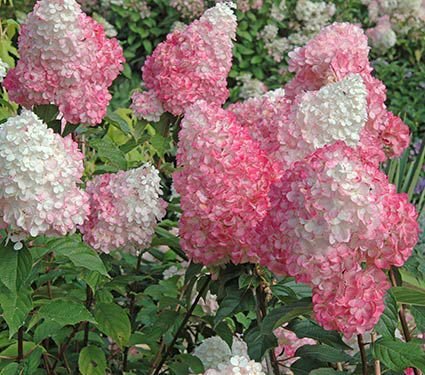 Unlike varieties of Hydrangea macrophylla that produce blue flowers in acid soils or pink in alkaline soils, this beauty — voted Top Plant for 2010 by the American Nursery and Landscape Association — will remain pink and white regardless of pH. The blooms of Everlasting Revolution create fascinating combinations of light and dark pinks (or blues with a more acid pH) and pale green. 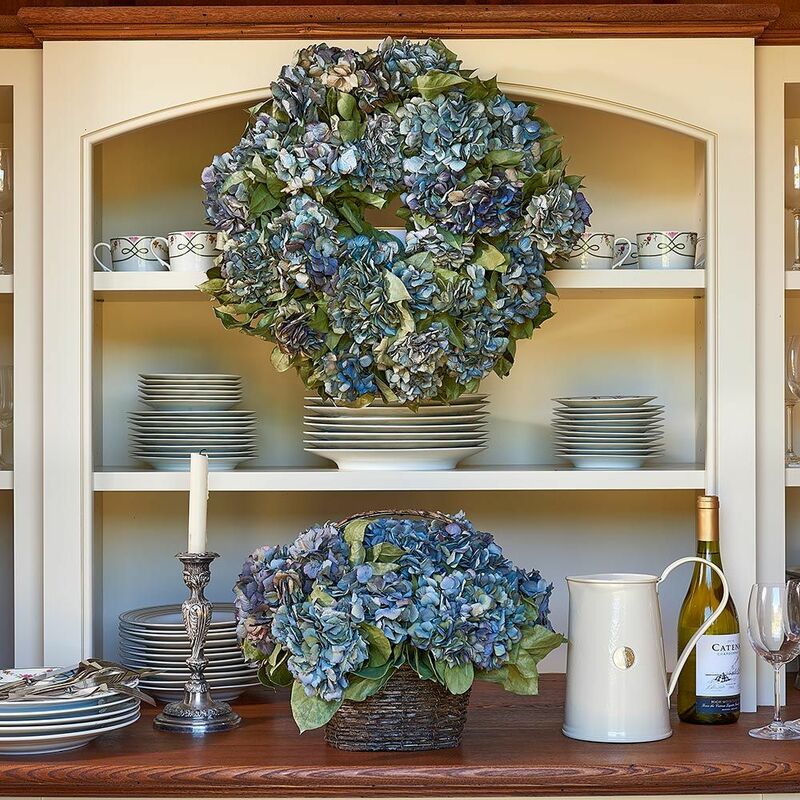 In addition to creating a beautiful garden display, Hydrangea blooms make exceptional dried flowers. Mopheads and Lacecaps are the most widely grown varieties, and of these, is is the mophead that makes the best candidate for drying. Both mature blooms and freshly opened flowers can be dried, each with a different technique. Late in the season (August to October, depending on the variety) cut blossoms that are starting to fade a bit, but before they turn brown, and include about 12in of the stem with them. 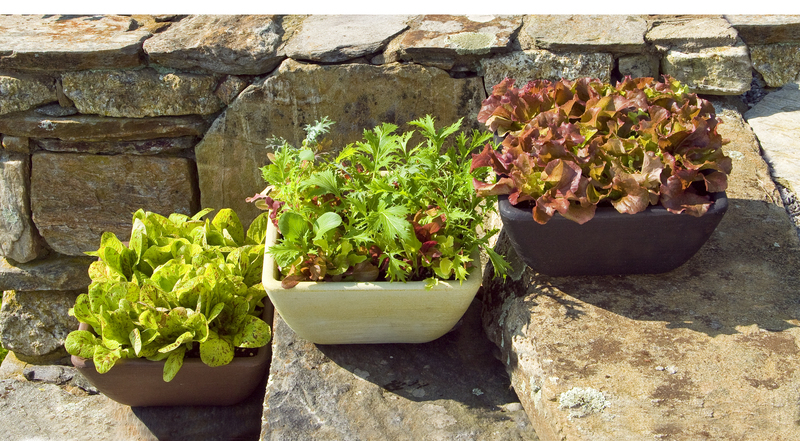 Just strip off the leaves and dry the stems in a vase, either with or without water, away from direct sun. 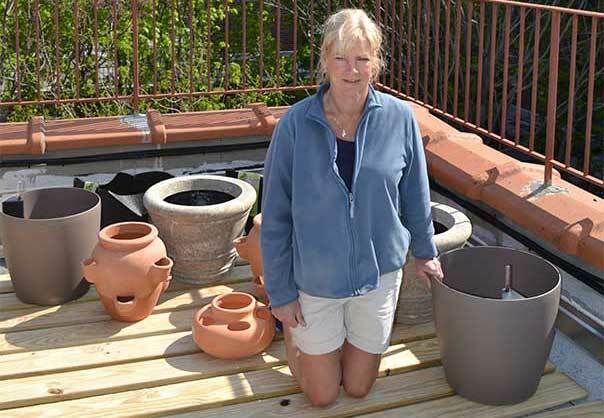 If you dry them in water, only use a few inches in the vase and let the water evaporated without replenishing. 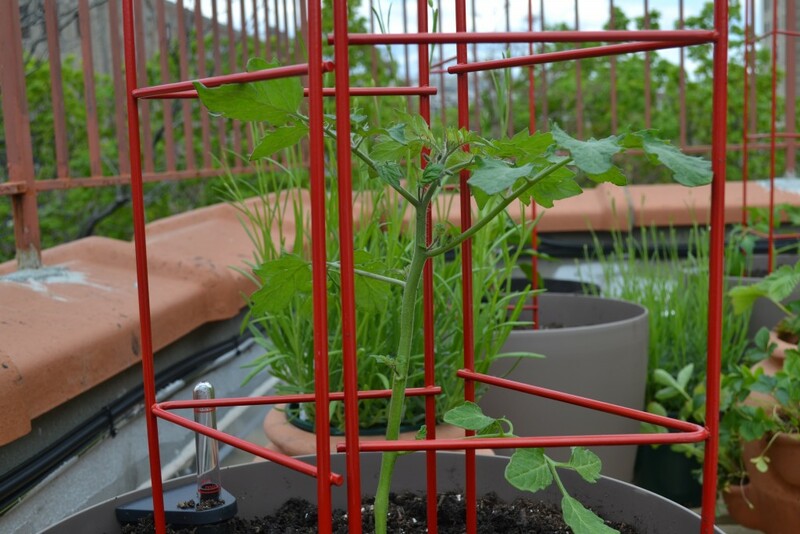 The stems can also be hung upside down in a cool, dry place out of direct sun. Fresh, newly opened blooms can be dried in silica gel. Place about an inch of the gel in the bottom of a large container. Hold the blossoms upside down on the gel (make sure they have no moisture on them), and carefully sift gel over them until they are covered. Place a cover on the container. After four days, gently pour all the silica onto newspaper (you can save the gel for future use). The blooms are now ready to use in an arrangement.